Network devices including firewalls and routers are the gatekeepers to “endpoint” resources and are increasingly using complex software components. These devices are often remotely accessible and whose configuration changes regularly, making them susceptible to vulnerabilities and misconfigurations. To add to this, network and security teams are often separate parts of an organization often leading to incomplete understanding of vulnerable infrastructure. This training will be an intensive 40 hours course that will involve the design and implementation of various aspects of Network and IT infrastructure. This course will teach the learners simulation and hardware concepts of designing Network and IT infrastructure. This course will involve mini-project and one main course project. Ability to describe and analyze the hardware, software, components of a network and the interrelations. Ability to implement Local Area Networks using both static and dynamic addressing techniques including subnetting. 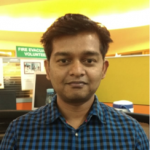 Mr Mahesh Lawand is currently working as Sr. System Analyst / Presales Consultant at Nihilent Technologies Ltd., Pune, India. He has over 10 years of experience in networking. It spanned Network Presales for Active & Passive network infrastructure, Network Support Services, Remote Technical Support and NOC monitoring-troubleshooting. Expertise in Microsoft Office/Visio, CCW (Cisco Commerce Workspace), Vendor specific configuration tools, Solarwinds / Whatsup-Gold Monitoring Utilities. His Certifications : CCNA, CCVP. To mentor the team and help them build-up the technical solutions and other deliverables. Develop and present technical design documents to clients including network analysis, Visio diagrams, configurations, and design validations to ensure clients have the technical tools and information required to be self-sufficient. Solution Domains – IP Telephony, LAN, WAN, Wireless, Security & various Unified communication technologies, Structured Cabling. Deliverables: Bill of Material (BoM) / Statement of Work (SoW) / Response to (RFP, RFI, RFQ) / Network Diagrams (Visio). 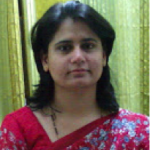 Mrs. Renuka Pawar is currently working as Assistant professor in Information Technology department at Sardar Patel Institute of Technology Mumbai. She has over 09 years of experience in teaching. She has done certification like DCT D-link certified trainer ,CEH -certified ethical hacker v9.0. She has conducted a workshop on Ethical Hacking in Atharva College of Engineering,Malad.She has also organized and conducted a Two days Hands-on workshop on “Ethical Hacking” at Sardar Patel Institute of Technology Mumbai. She has assigned a role of Teaching assistant for two week ISTE workshop on computer networking conducted by IIT Bombay. Session – 4: Configuration of VLAN and VLAN trunking protocol.